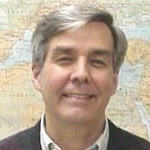 Alwyn Barr is professor of history at Texas Tech University and a former chair of the history department. Among his five authored books are: Black Texans: A History of African Americans in Texas, 1528-1995, 2nd ed. ; Norman: University of Oklahoma Press, 1996), and African Texans, College Station: Texas A&M University Press, 2004. He also has edited, with Robert A. Calvert, Black Leaders: Texans for Their Times, Austin: Texas State Historical Association, 1980; and has written the Introduction to Black Cowboys of Texas, edited by Sara R. Massey, College Station: Texas A&M University Press, 2000, as well as several articles on African American history in professional journals. He is a former president of the Texas State Historical Association and a former board member of Humanities Texas.